InPro''s Super Bio Stat Vinyl shower curtains are specially formulated with a protective coating that is bacterial and wear resistant. These odor, stain and mildew resistant shower curtains have been tested and passed fire safety standards. 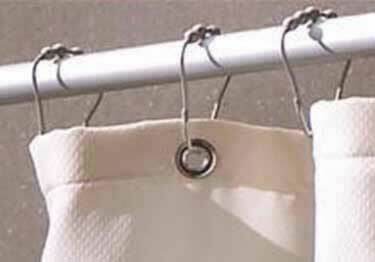 Koffler Sales is also offering Inpro''s 1" diameter shower curtain rods in straight or curved styles and shower rings in a variety of shapes and colors for the perfect finishing touch. Sizes: 42" x 70" and 72" x 70"
InPro''s Super Bio Stat Vinyl shower curtains are specially formulated with a protective coating that is bacterial and wear resistant. These odor, stain and mildew resistant shower curtains have been tested and passed fire safety standards.